I’ve been a long time skater, though I don’t usually travel with my board. If I did, and I know plenty of people do, then this bag from Poler would tick all the boxes. 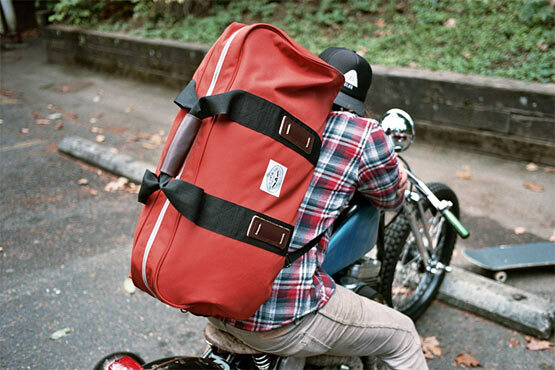 Included are stowable backpack straps, leather accents to lend it a little understated style, enough capacity to carry a week’s worth of gear, and best of all, an additional strap to secure your skateboard, converting the Duffaluffagus (love the name) into a wheeled case. All for USD8o. Perfect.